Artist Reach and Japanese noted photographer Yonehara Yasumasa aka Yone are set to open the latest leg of their Partouze Exhibition with a show in Hong Kong. 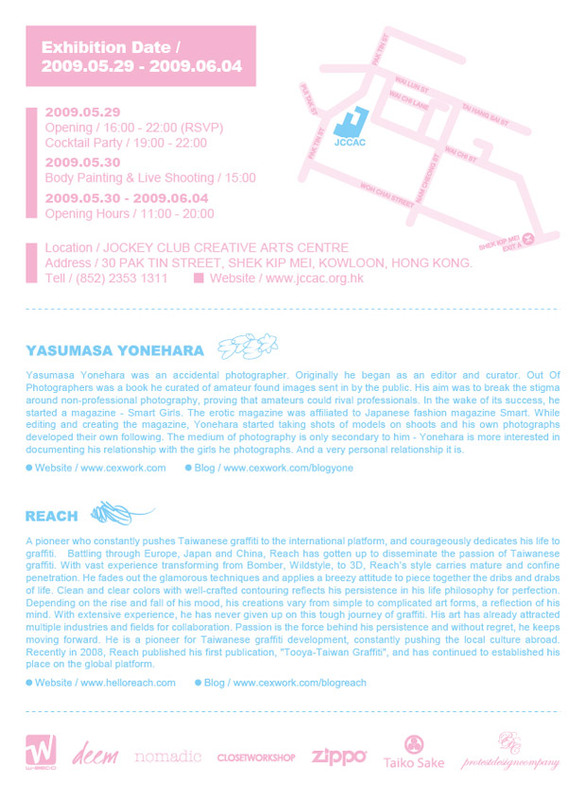 The opening will take place on May 29th, 2009 (11am-8pm) running through June 4th at the Jockey Club Creative Arts Centre. The cocktail party will begin at 7pm until 10pm with a live body painting session scheduled for the next day at 3pm.